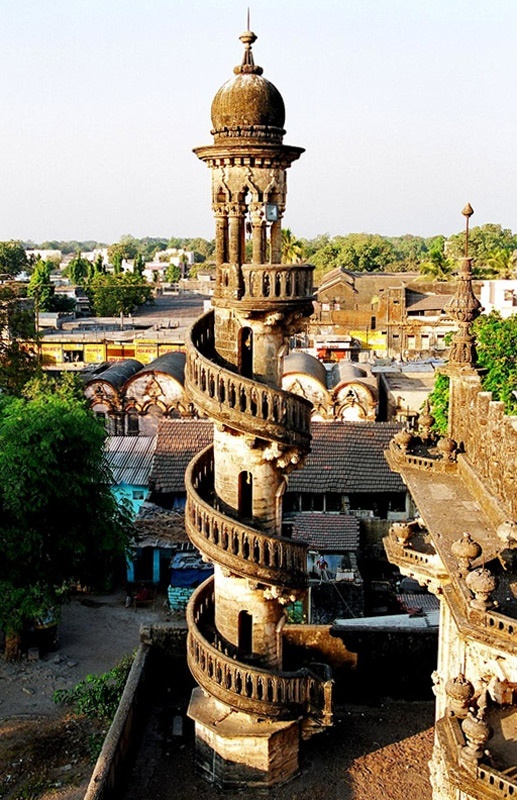 The Mohabat Maqbara is a palace-mausoleum in the Junagadh district of the Indian state of Gujarat, adjacent to the sacred Girnar Hills in Saurashtra. The etymological meaning of Junagadh "Old Fort" gives the palace its alternativ name of "The Old Fort Palace". Amongst the forts and monuments in the state of Gujarat, the Mohabbat Maqbara is an exquisite example the nineteenth century art and architecture.